There is a long standing debate in marketing circles about the wisdom of longer forms vs. shorter forms. One way marketers can avoid this open issue and still optimize conversions is by incorporating progressive profiling into their forms. On successive visits to your site, you can present the prospect with a different set of fields on your forms to collect incremental information. This technique will flesh out their profile, help qualify leads and create more personalized communications. 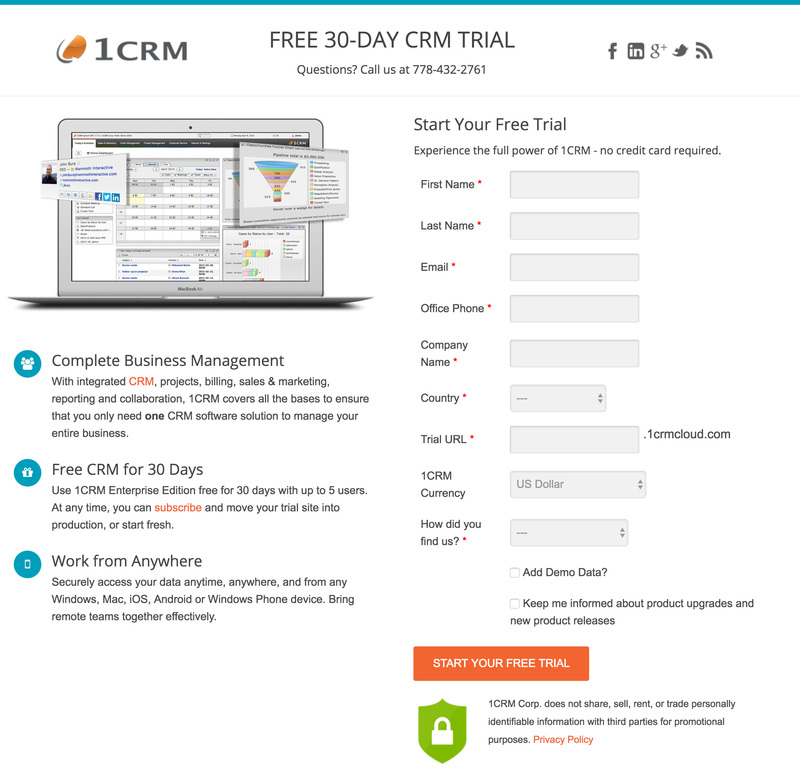 Experiment to find the balance between short forms and long forms for effective client conversion, then enable progressive profiling to gather complementary information from your return visitors. Collecting additional information about your contacts will help you better understand where they are in their purchasing process and allow you deliver more relevant information along the way. Market segmentation lets you organize your contacts – and corresponding marketing messages – into groups that make sense for your business. 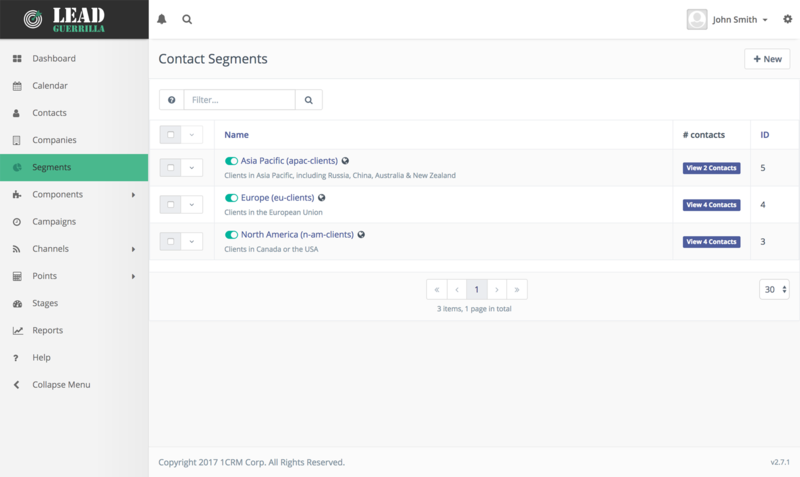 Define Segments to include contacts based on specific criteria, based on actions taken, by list import, or even those added manually. Create Segments consistent with your go-to-market strategy, and adjust them quickly when circumstances change. Segmenting your data will help you organize your contacts and content, helping you deliver relevant information to the right part of your audience. Matching your messages appropriately to the right segments of your market seems only common sense, but is frequently overlooked. With Lead Guerrilla you have the flexibility to build as few or as many Segments as you need, and to adapt your segmentation as your audience changes over time. Nurture your audience with ongoing automated communications by Segment, building rapport by sharing information that informs their purchasing decision. As the Internet era progresses, and prospects become ever more blasé and jaded with ever shorter attention spans, more personalized and relevant messages have become the new normal. Lead Guerrilla gives you the ability to fine tune communications by using dynamic content within multiple communication channels to present personalized content to the right audience via the right channel. Create customized content to be used in your website, landing pages, emails or text messages based on your visitor’s profile or actions. Display varied content that’s most relevant to each visitor’s stage or geography and helps accelerate the sales process. Use dynamic content to easily create custom marketing messages based on variables like geography or local language. Mention each prospect’s name, primary interest, country/state, company name, their industry, etc.. to make each message seem individually written. 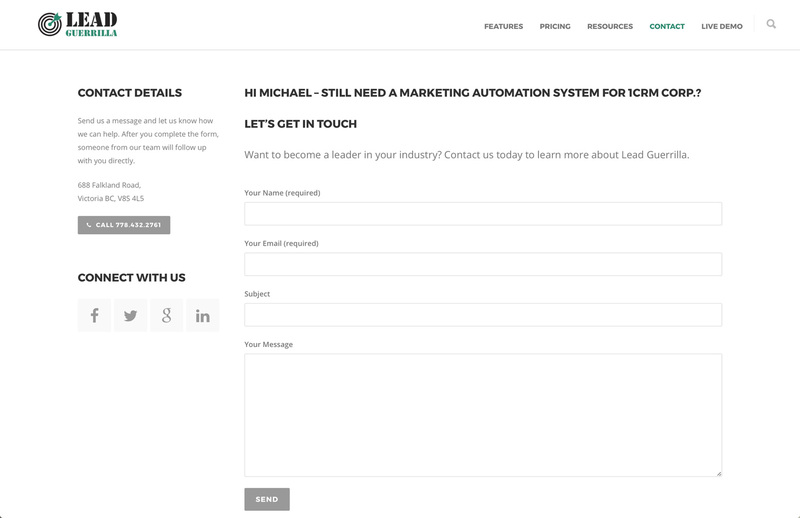 Lead Guerrilla includes separate Contact and Company objects so you can devise marketing campaigns by account, as well as enabling a scoring capability at the Account level in addition to the Contact level. 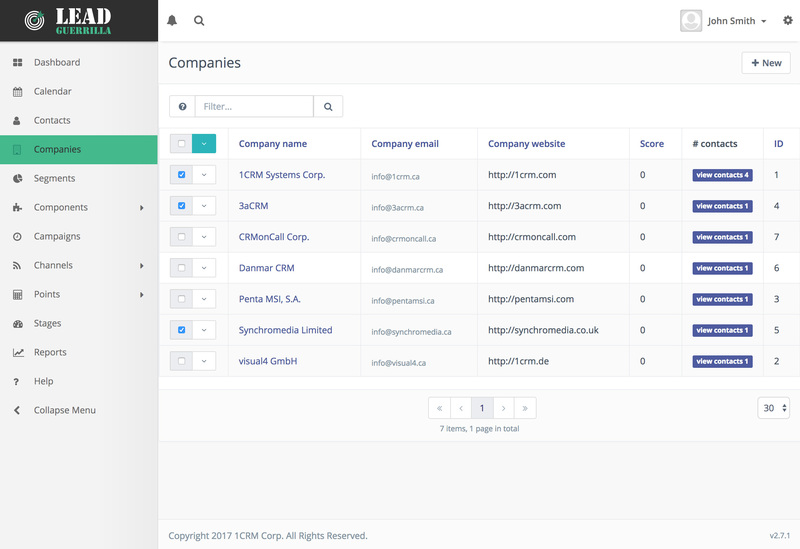 Track contact activities with associated accounts to apply scoring points and manage your selection process and content strategy. Keep all roles in the organization such as sales and service in the loop on all account activity to enable a better informed experience at every customer point of contact.